Was arranging to go Dancing Crab for dinner located at Orchard Central, but didn’t know it’s so popular till you must get a reservation beforehand. So when we needed an alternative, a signboard at the other side caught our eyes. 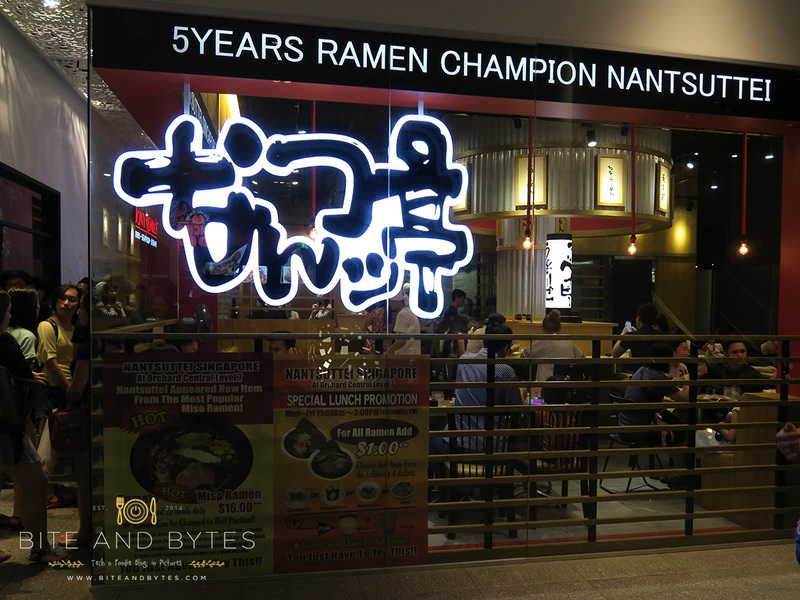 “5 Years Ramen Champion Nantsuttei”. Their tactic did manage to work somehow, as we haven’t ate ramen quite sometime. 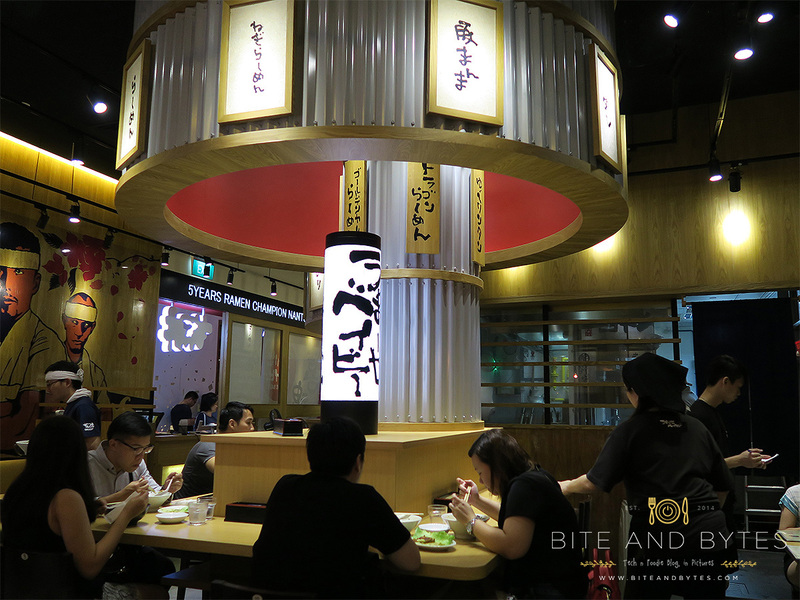 This ramen stall actually was at Parco Millenia Walk but they closed for a while before moving to Orchard Central. We ordered 2 types of ramen and a wanton dish with a rather prompt service personnel. 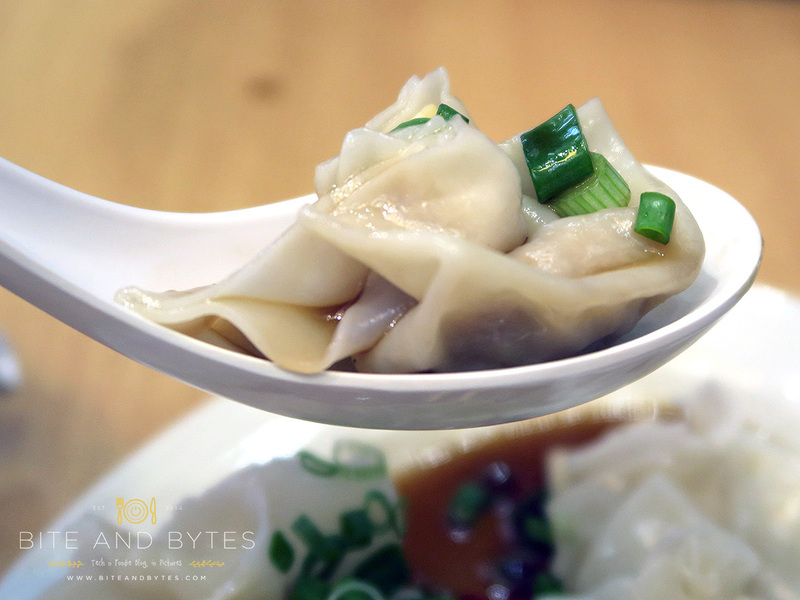 The wanton dish came first. 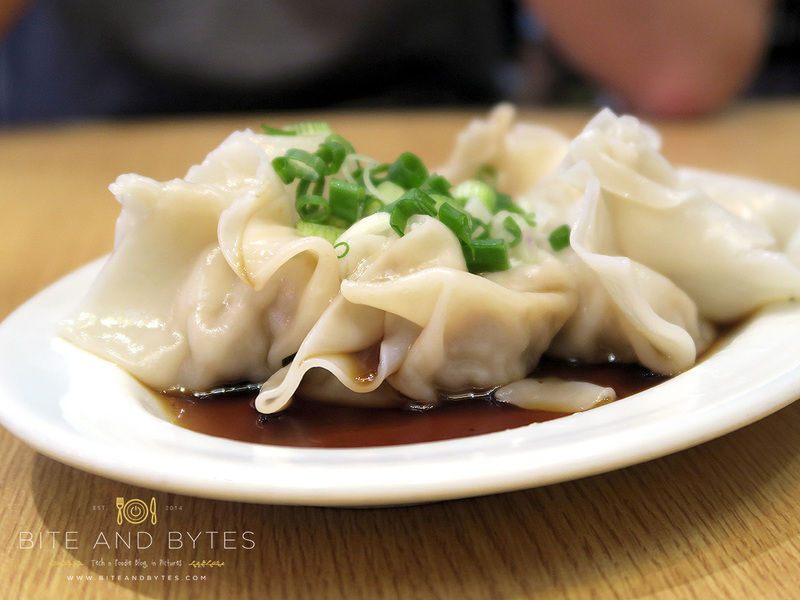 The first thing you would think of is, it’s just like the japanese gyoza that you usually eat, but the steamed version. FYI, it doesn’t taste like our Singapore style wanton, the fillings were different, so different that I had to ask my boyfriend whether it’s pork. haha. The sauce was like what you dip for gyozas, but a little more savoury, guess there’s more shoyu in it. Something different that’s worth ordering, but just wouldn’t wow you, and eat it while it’s hot. 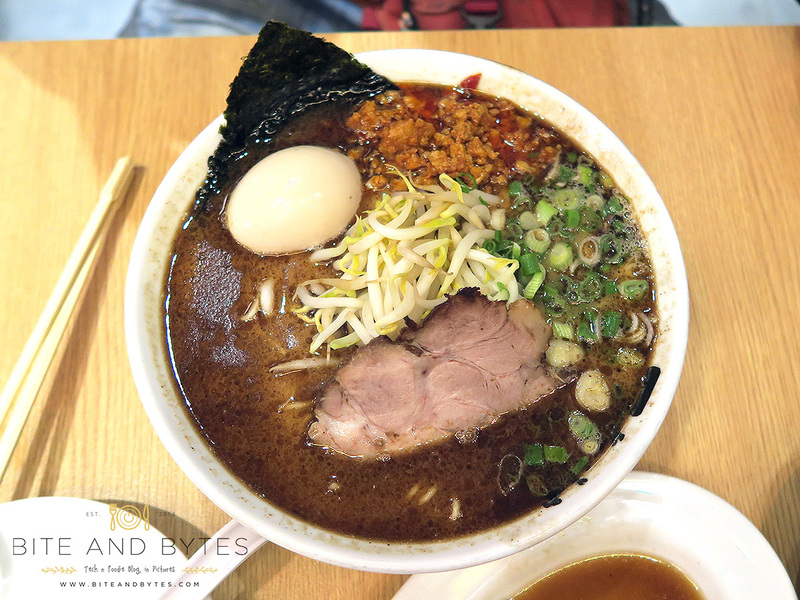 And came our ramen, the one that I ordered was their normal specialty ramen, Black Ma-yu (S$12) with an egg (additional cost). We also ordered garlics (Free) to crush into our bowl of ramen, something that we learned that we could do from Ippudo. That would give an extra garlic fragrance to the bowl of noodles, unless you dislike garlic or is about to meet a client of course. The soup was delectable and has the hint of garlic taste, but I should have tasted before we added the garlic in, or else I think it might have been because of that. The pork chashu (only 1 piece) was the one that I was rather disappointed with, it’s tougher than what we usually have at ramen restaurants, it also had a mild flavour which didn’t impress much. What was delightful was the generous portion that they give for the noodles. The noodles were so full that I was afraid I wouldn’t have enough broth to complement them. My boyfriend had the “Dragon” Ramen, not sure why, but most likely because it’s the spicy version versus mine. 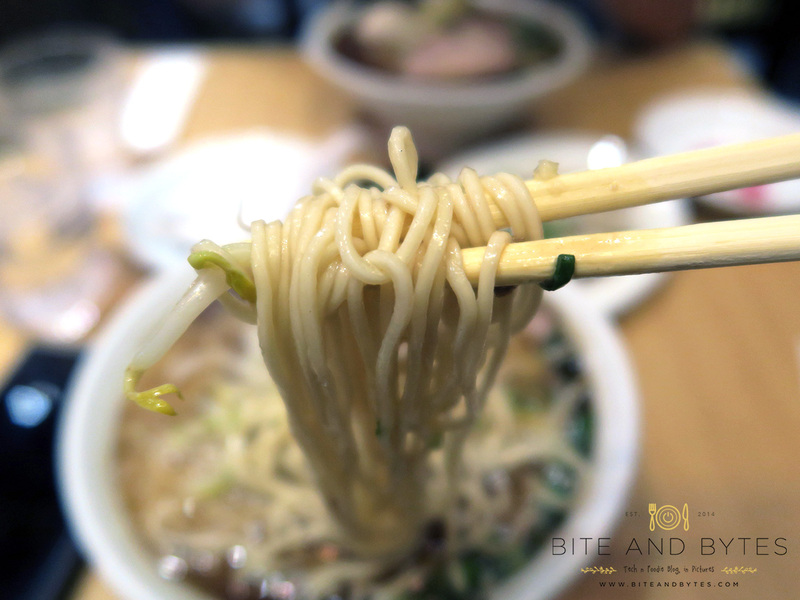 The broth is same as mine, except that his had extra chilli oil pork, which gives that spicy punch into the noodles. It’s not a generous portion of chilli oil pork, but I must warn that if you eat it alone without mixing with the broth, it really can be quite spicy. Other than the spiciness, everything else is about the same from my bowl. Chilli lovers should order this one for the extra dimension (but it’s not the super spicy type, though they do have the Spicy Miso Ramen version with 5 different type of spicy levels). What’s a ramen review without mention on the noodles? The noodles were springy but nothing to the ‘al-dente’ side, it’s nice and thin, not too thick. 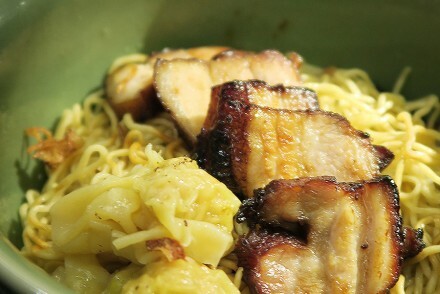 And as mentioned, plenty of noodles for you to fill an empty stomach. 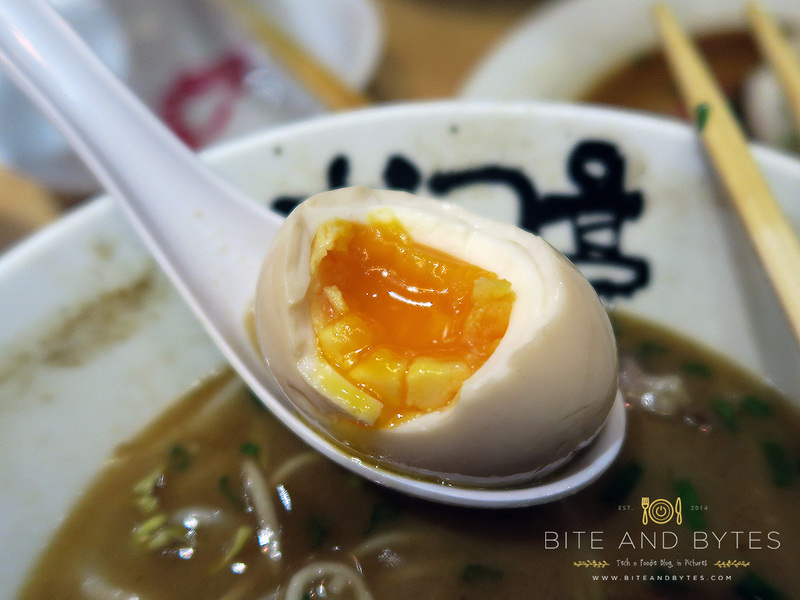 Egg, the most important part for me in a bowl of ramen. Their egg just passed the mark for me, though you can see the lava of the yolk pouring out, but it was just slightly overcooked, but perhaps it was the soup that cooked that layer to be so. The problem was I preferred the egg to have more flavour, judging by the colour, you can see it’s paler than some. Not sure if it’s the way it’s cooked this way here, just a personal preference (don’t flame me as I have not been to Japan to taste ramen). 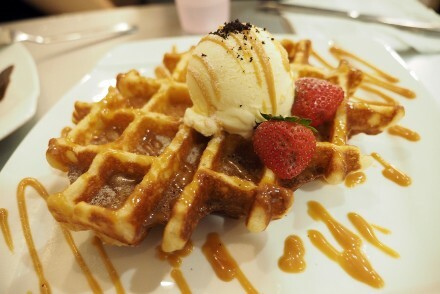 Overall, the ambience is OK, their staff is attentive and will top your plain water without hesitation. While we were enjoying our ramen, a queue was building up outside, so I guess quite a lot of people like their ramen too. I would say their ramen is not bad actually, just if their chasu was better (the type that melts in your mouth), then I would have rated it better. The top of my list ramen is still the sardine-soup based Sanpoutei Ramen @ Shaw House. 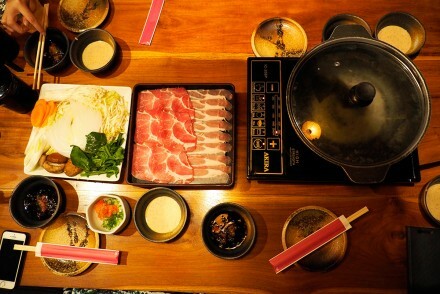 Gadgets and food is my life, other than work life (and daydreaming), I often spend time reading latest technology trends and exploring new food in Singapore.